Simple Day/Date hybrid w/AOD. Center tap action for stopwatch prep or hands to 12 oclock. Stopwatch function on seconds dial start/stop w/minutes hand as SW minutes elapsed; SW reset on battery dial. 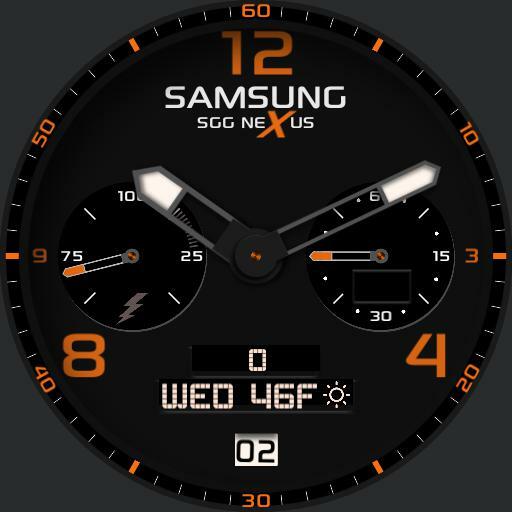 Battery gauge w/alert less than 15% and flashing at 5%, step counter, temp/wather, and calendar event alert top X in orange. Feel free to contact with improvement suggestions.